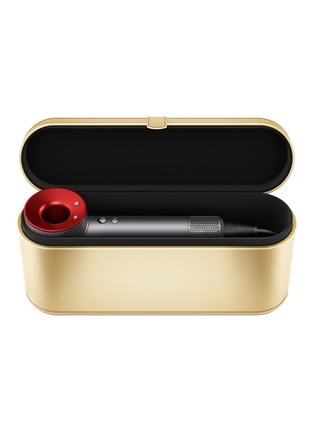 A result of four years of rigorous development, Dyson's Supersonic™ hair dryer is a game-changing beauty gadget that cracks the code to softer and smoother blowouts in the hair care routine. Engineered with a powerful V9 motor that combines intelligent heat control and patented Air Multiplier™ technology to effortlessly achieve a range of styles with heat-safe settings, this state-of-the-art device is fast at drying and effectively prevents damage. This Chinese New Year, it comes with a limited edition gold-tone case that is perfect for gifting or yourself.